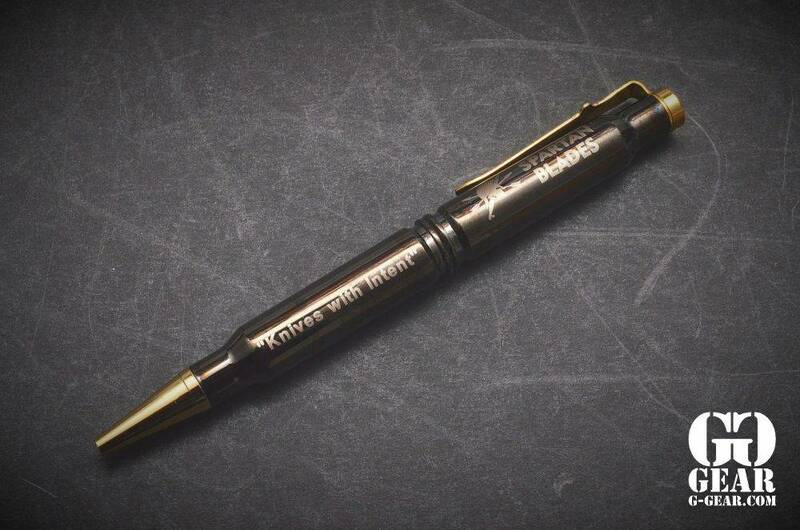 Spartan Blades is happy to have teamed up with Jr’s Bullet Pens! 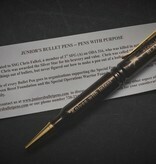 Junior’s Bullet Pen Company is dedicated to one of our fallen heroes, SSG Chris Falkel. SSG Chris Falkel was a warrior; and a hero. Chris was a weapons sergeant for 3rd Special Forces Group (Airborne) on Operational Detachment Alpha (ODA) 316, and between 7 – 9 August, 2005, Chris and his Special Forces team were involved in a 54 hour battle “that will live in the annals of Special Forces history.” On the evening of 8 August 2005, Chris paid the ultimate sacrifice and died saving the lives of his team and 16 members of the Afghan National Army that were assigned to his beloved ODA 316. SSG Chris Falkel was awarded the Silver Star for his bravery and heroism. Chris was called “Junior” by his teammates. From the time he was a very young boy, Chris knew he wanted to be in Special Forces, and he would make “weapons” out of whatever was available to him. He used to love to turn shell casings into all kinds of things. Jeff thought about Chris’ dream of making a “bullet pen” for a couple of years, and on 24 Sep 2007 – which would have been Chris’ 25th birthday – Junior’s Bullet Pen Company was created. So these pens are dedicated to Chris. To date, He has made over 150,000 bullet pens – one pen at a time – and Jeff feels Chris’ presence with every pen he makes. The response to Junior’s Bullet Pens has been overwhelming. 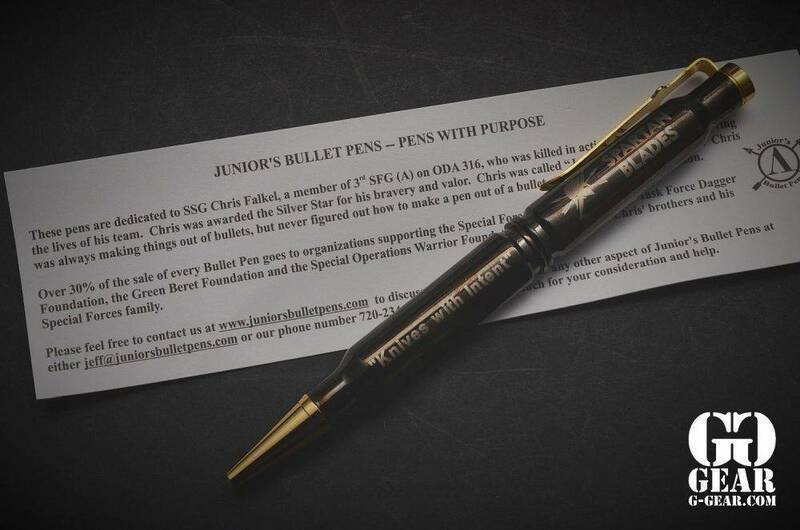 Spartan Blades is very pleased to increase their product line of Junior’s Bullet Pen products! Most of the brass they use to make Junior’s Bullet Pens has been once-fired military brass. They occasionally get new brass donated from various companies to use in the bullet pens. It has been said that “the pen is mightier than the sword” – and this may indeed be true. SSG Chris Falkel understood the need and value of education, and so we are honored at Junior’s Bullet Pen Company to be able to turn instruments of war into tools for education with our entire Bullet Pen line of products. 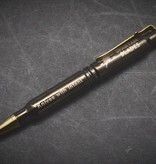 Junior’s Bullet Pen Company is Veteran owned, and strives to employ veterans and their families to help them assemble these unique writing instruments – many of whom are the amazing members of Chris’ Special Forces family!!! A Portion of each sale goes to Special Forces charities.